7 in 1 Mandolin Slicer vegetable chopper is a multifunctional tool.You may use it for cutting all kinds of vegetable and fruits, like carrots, potatoes,cucumber.Make delicious salads within a few minutes.Quickly and effortless cut food prep time in half. Includes a variety of thick and thin slicing options.Easy way to cut vegetable into shreds, cutting into small pieces, cut into 4 equal pieces, cut into 8 equal pieces, slicing, dicing, grating, chopping etc..Work smarter, not harder in the kitchen with the 7-in-1 Onion, Vegetable, Fruit and Cheese Chopper with Storage Lid. 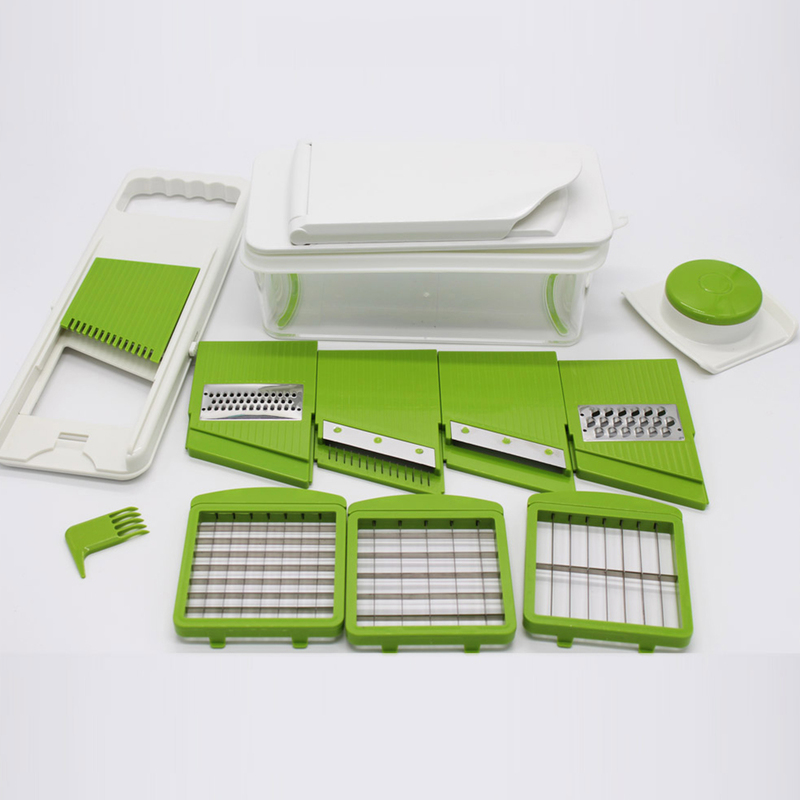 7 in 1 Mandolin Slicer vegetable chopper-This Slicer comes with 7 interchangeable blades, container(with non-skid base), safety handle and food container.For cutting softer vegetables or fruit like carrot,potatoes,tomatoes,cucumber,kiwifruit,etc. Reduces onion vapors to minimize tears in a storage container. 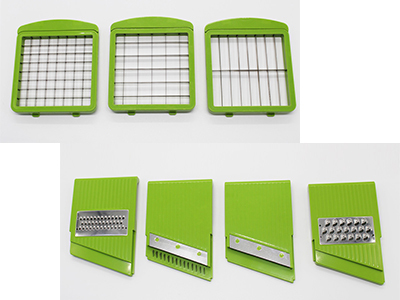 7 sharp inter-changeable stainless-steel blades for slicing, dicing and chopping. Very easy to use and all the food falls directly into the collecting container which keeps your kitchen counter clean at all times. 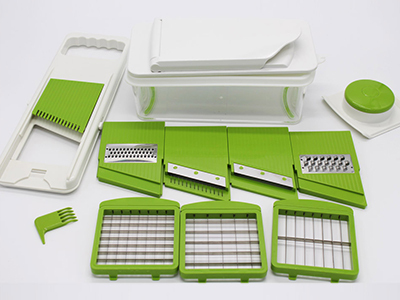 This set is perfect for tomato, carrot,cucumber or onion slices, julienne vegetable strips, waffled potato chips. We have included our special catcher bowl that collects everything that you slice, dice or chop hereby reducing onion vapors for TEAR FREE onion cutting! It also comes with a cover so you can store the veggies, onion or cheese without switching containers. 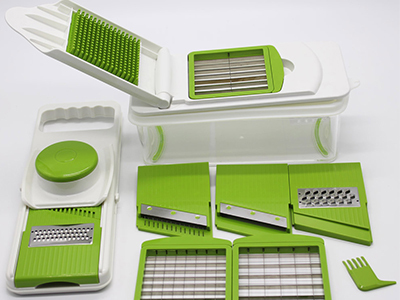 This Slicer comes with 7 interchangeable blades, container(with non-skid base), safety handle and blade's container. Perfect cabbage shredder or lettuce / cucumber slicer and the best mandolin for potato chips or french fries.